Ladakh is a cold desert situated north of the Himalayas, in north India. The area is sparsely inhabited by 2.74 lakh people, who survive on subsistence farming. As it is on the rain shadow side of the Himalayas, it is very dry, and the only respite is melting glaciers, where habitation is possible. This has led to a lot of villages sprawling up in such remote areas over centuries. 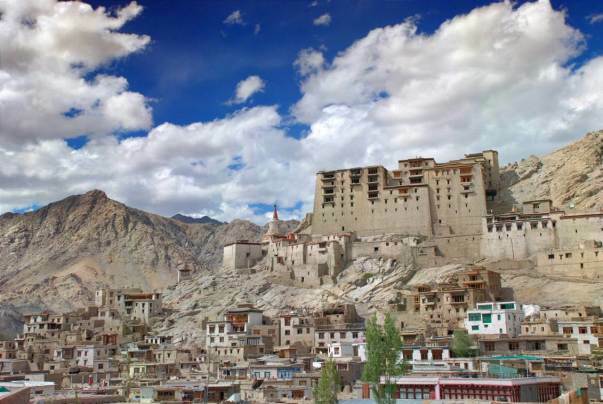 Ladakh is a home to over 3000 villages, most of which do not have electricity. Primary reason for this is the inaccessibility of these areas due to extreme weather, high altitude and topography of the region. Locals are forced to depend on kerosene and diesel for light and cooking which has harmful side-effects ranging from short-term effects like eye and throat irritation, to long-term effects like respiratory diseases and cancer. 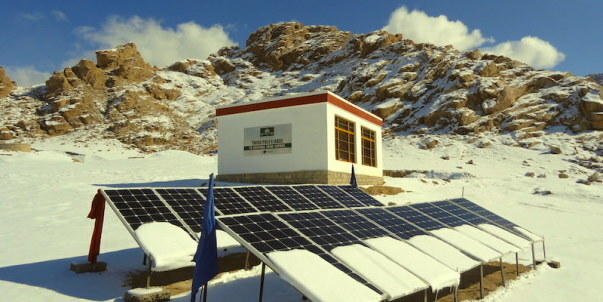 The Ladakh region receives abundant sunlight due to its altitude, thin air and lack of moisture, making solar energy a promising source of energy. Tapping the potential of solar energy in this region can offset the emission of Carbon Dioxide (CO2) by 12 tons for a village of 100 homes annually. It is better to light a lamp than to curse the darkness. I am making one such effort to bring light to a village in Ladakh, as part of this year's Global Himalayan Expedition (GHE). 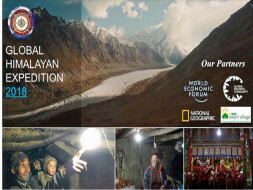 GHE is an initiative that focuses on providing clean energy and education access to remote off-grid communities across the Himalayan ranges of north India. This September, along with a group of international volunteers, I'll trek 9 days through the Himalayas to ‘Kargiak’, a remote village which has no electrical grid access, where I'll help install solar micro-grids which will serve to power the village with sustainable, clean electricity. GHE’s objective is to implement technological solutions in a sustainable, scalable, and environmentally beneficial manner, leading to an overall development of the community while empowering the local village's population. GHE has till date electrified 55 villages since it began with its pilot model of DC based electrification in 2014. (Bearing myself) Trekking gear: INR 15,000. Your donation will support a meaningful initiative designed to provide lighting and sustainable living to areas that need it the most, while at the same time promoting the use of environmentally friendly, solar power! My sincere thanks for your generous contribution. Thank you for contributing to my campaign. Updating you on the September expedition last year, we visited the village 'Ralakung' instead of 'Kargiak'. In addition to electrification, we also installed solar powered computers in government schools in 'Phey' & 'Skagyam' to provide digital access to education. Thanks to your contribution, 'Ralakung' has electricity now! A huge thank you to all the contributors. I have reached my fundraising goal by generous online and offline contributions.